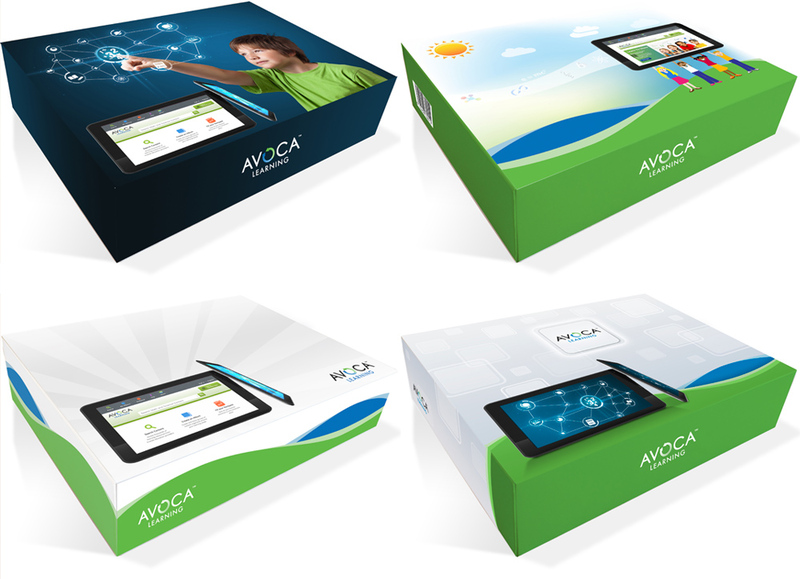 The AVOCA Learning platform (for Android) is a search engine for learning content and comes pre-installed on the AVOCA Tablet. 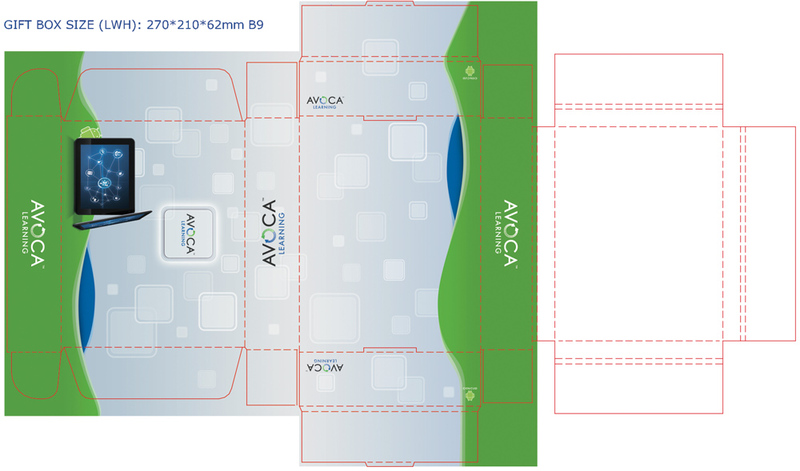 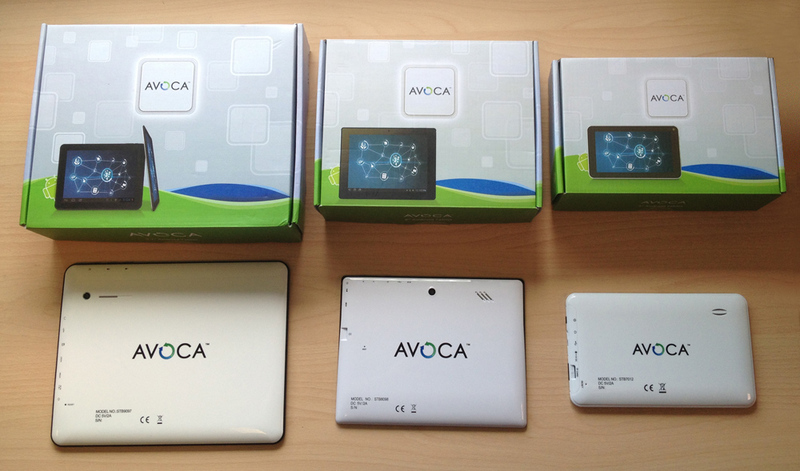 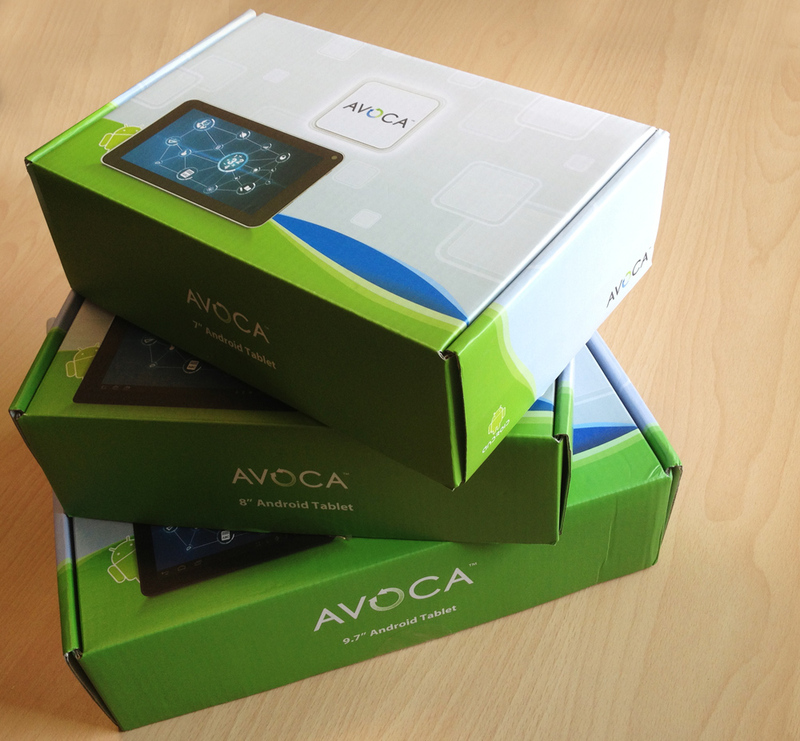 A packaging design was required for those tablets that incorporates the AVOCA brand. 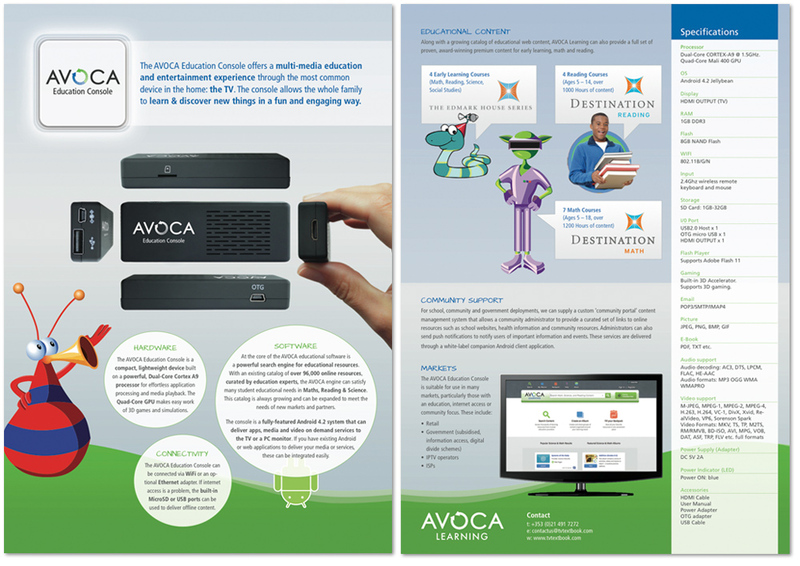 The Android app was also planned to be delivered on a HDMI stick („the education console“) which I created spec sheets and marketing material for.